Preheat oven to 350 degrees. Wrap exterior of a 9-inch springform pan in 2 layers of foil. On a generously floured piece of parchment, roll dough to a 13-by-10-inch rectangle, about 1/4 inch thick. Brush off excess flour. Slide dough and parchment onto a baking sheet. Bake until firm and golden brown, about 14 minutes. Let cool completely on sheet on a wire rack. Break into large pieces, then pulse in a food processor until finely ground. Place cheesecake in a large, shallow roasting pan. Transfer to oven, and carefully add enough hot water to roasting pan to come about halfway up sides of springform pan. Bake until cheesecake is set but still slightly wobbly in center, 60 to 65 minutes. Carefully remove springform pan from roasting pan, and let cool on a wire rack. Refrigerate, uncovered, for at least 8 hours (preferably overnight). Before serving, run a hot knife around edges of cheesecake to loosen, and remove sides of pan. Arrange gingerbread cookies in center of cake in a circle (with heads facing inward and arms touching, alternating light and dark). Make-Ahead: These biscuits are really best when eaten warm from the oven. However, they can be made up to 1 day ahead, stored airtight at room temperature. To rewarm, wrap them in foil and bake at 350°F for about 10 minutes. 1. Preheat the oven to 450°F and place a 10-inch cast-iron pan in the oven to preheat. 2. In a large bowl, whisk the flour, baking powder, baking soda, and salt to blend. Using a pastry cutter, cut the cheddar cheese, half of the goat cheese, and 4 tablespoons of cold butter into the flour mixture until the butter resembles small pea-size pieces. 3. Form a well in the center of the flour mixture and pour the buttermilk into the well. Stir just until the mixture is moistened but still lumpy. Fold in the remaining goat cheese. 4. Remove the cast-iron pan from the oven and melt 1 tablespoon of butter in the pan. Drop 6 mounds of dough into the hot pan, spacing evenly apart. Brush the tops of the biscuits generously with some of the melted butter. 5. Bake 10 minutes. Brush with some of the remaining butter and continue to bake until golden brown on the top and the bottom, about 10 minutes longer. 6. Remove the pan from the oven then brush the biscuits with the remaining melted butter and sprinkle with the Parmesan cheese. Cool slightly. 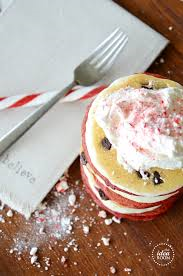 Recipe for Living shows us how to make Candy Cane Pancakes! 4) Let cook until done on one side, then flip. 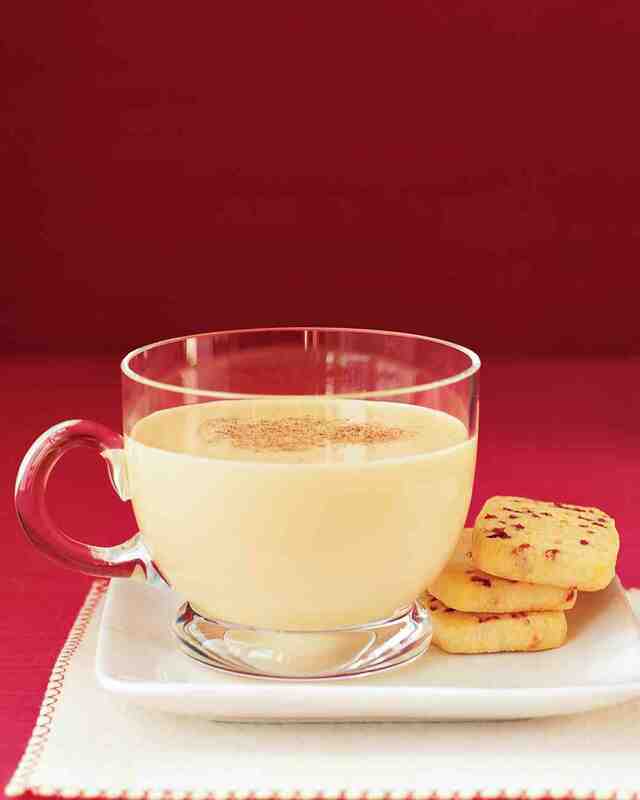 Martha Stewart shares her perfect recipe for Eggnog! In medium saucepan, whisk milk and sugar over medium heat until sugar is dissolved, 1 to 2 minutes. In a large bowl, whisk egg yolks. Whisking constantly, pour hot mixture into yolks in a slow and steady stream. Return mixture to pan; cook over medium-low heat, stirring often, until thick enough to coat back of spoon, 20 to 25 minutes; do not let simmer. Quickly strain into a bowl. Stir in bourbon, if desired, and cream. Cool completely; cover with plastic wrap; refrigerate until chilled. Garnish with nutmeg, if desired. 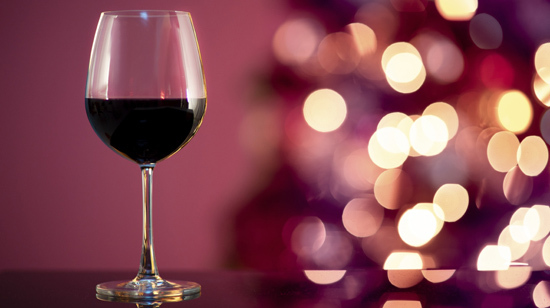 We help you choose the best wines for the chilly winter months! Red and heavy white wines served at room temperature are sure to keep you toasty during the long winter months. Winter wines have a more rich taste and tend to be more complex than wines we would enjoy during the summer months. Below are some great choices for any winter get together! 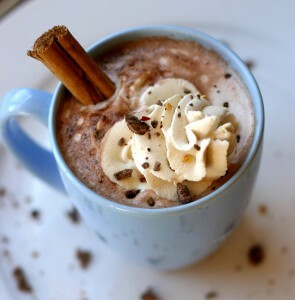 Try this holiday drink recipe by Brooke McLay. Grate the chocolate with a fine-edged grater. In a large saucepan, heat the milk, ice cream and sugar on low, just as the mixture begins to steam (but don’t let it boil!) then whisk in the grated chocolate. Whisk in the cinnamon, vanilla and water. Heat mixture just until steaming. Serve with spicy Dulce de Leche whipped cream. In a large bowl, beat heavy cream until soft peaks form. Slowly beat in the brown sugar until cream becomes light and fluffy (if you don’t have access to fresh, very soft brown sugar, just use regular white sugar to keep the cream from becoming grainy). Mix in the cinnamon and cayenne. Pipe on top of hot cocoa. Sprinkle with red pepper flakes and crushed chocolate to garnish.